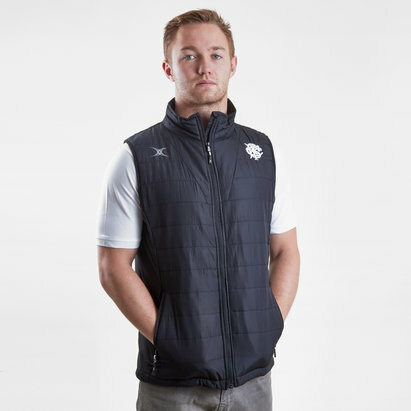 Cheer on the World’s most famous invitational rugby side when you pull on these Barbarians 2019 Players 1/4 Zip Rugby Training Top from Gilbert. This modern fit fleece has a simple design and will keep you warm. it is the perfect top for any performance whether its physical activity or for wearing casually. The anti-pilling treatment in the garment will prolong the ageing while the shaped armhole contours the body to help with movement. 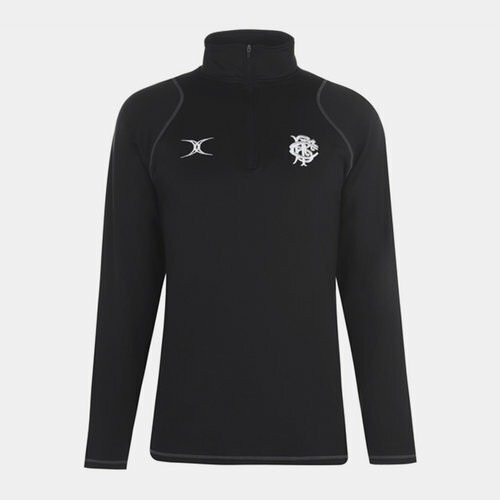 This top is black with the Gilbert logo on the right in white and the Barbarians badge on the left in white. Stitching around the arms and bottom of the top is white to complete this top with a stylish look.